Fish is an important part of a residence diet. 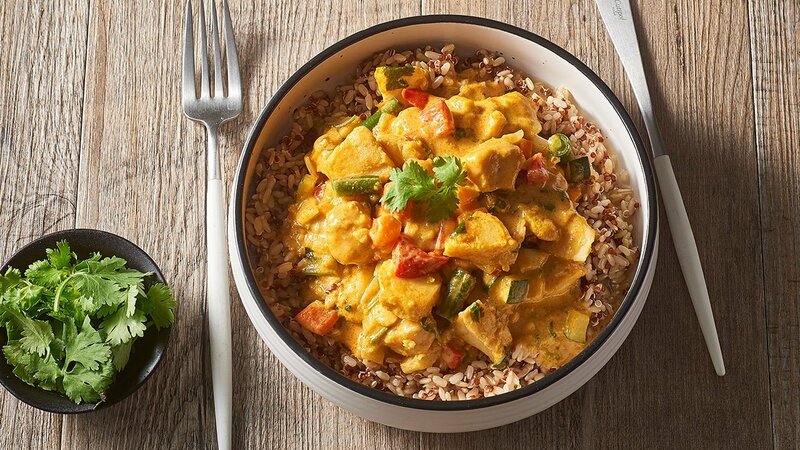 So why not give it a "night out" feel with our Sri Lankan Curry recipe. In a large pan mix, KNORR Professional Ginger Puree, KNORR Professional Mixed Chilli Puree, KNORR Thai Yellow Curry Paste, 10g KNORR Aromat Seasoning and KNORR Concentrated Liquid Stock. Once combined add in the ling, KNORR Lime Powder, KNORR Coconut Milk Powder and 2lt water. Bring to the boil and then reduce to a simmer. Add in the prepared veg and simmer until fish is cooked around 15 minutes. Divide the mix into bowls aloft a cooked rice and quinoa mix.